Blog | August to June | Bringing Life To School! Join us March 13 at 6:30 pm when filmmakers Tom and Amy Valens will be at Blue Oak School for a screening of August To June open to the whole community. 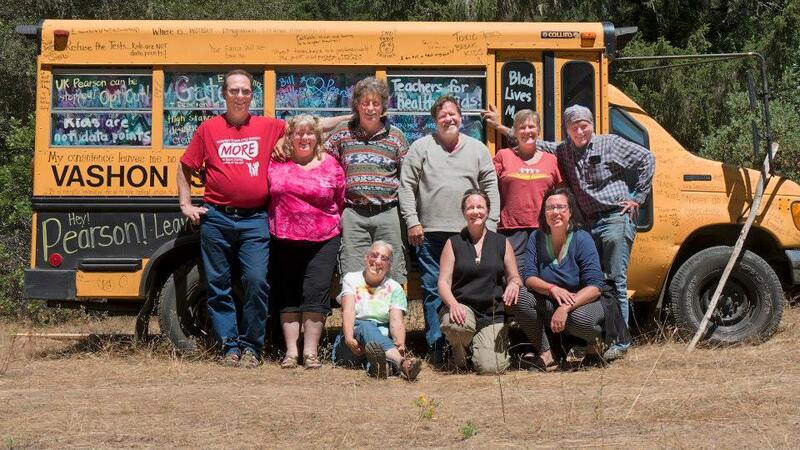 Many years before August To June was made, Blue Oak School’s founders were influenced by what they saw at the San Geronimo Open Classroom where Amy taught! Blue Oak is located at 1436 Polk St, Napa, CA 94559. Long before August to June, in the early 1980′s Tom Valens made a 45 minute documentary about the same school! To Make A Difference has the same intimate style as August To June, but is more of an overview of Open Classroom education as practiced by the founders of the program. See it here! And then take a look at We All Know Why We Are Here, which follows New York’s Central Park East 1 Elementary School–the first small progressive public school founded by Deborah Meier at just about the same time here. 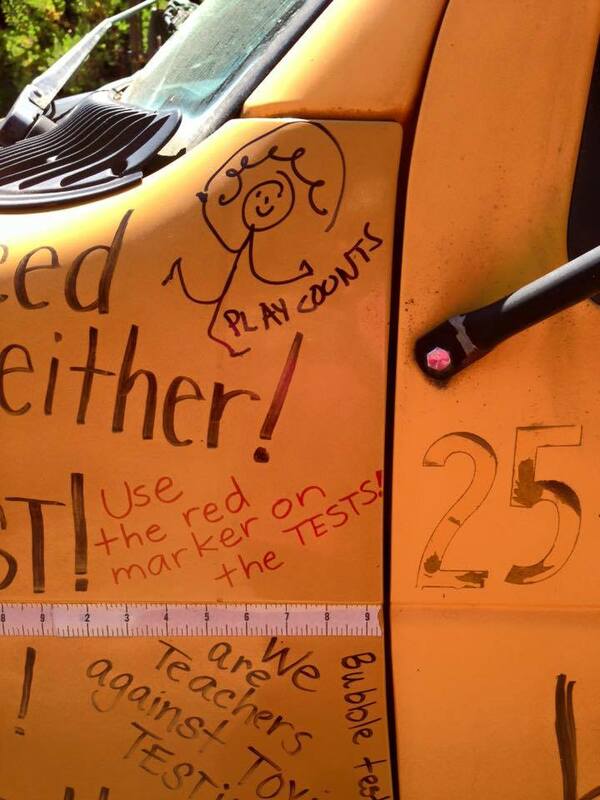 Kindergarten teacher Susan DuFresne and her husband Shawn are are taking their repurposed school bus cross country, giving away books and talking about the testing juggernaut, determined to instigate change one person at a time. This is such a creative way to inform people about the harm standardized testing is doing–and encourage the joy of reading while they are at it. Last summer we had the good fortune to be on their route, and helped paint some slogans onto the bus. It inspired teacher and education blogger Katie Lapham to create an opt out book cart that she plied on the streets of Brooklyn! I drew my little curly haired kid representing the importance of play…which allowed me to be playful as well! I got a letter from Diane Feinstein today about the latest version of ESEA. sigh. I include it at the bottom of this post. Here is my response. May it inspire you to write your own. From what I have read so far, Congress has made some modest progress in addressing the catastrophe public education in America has endured since 2000. There seems to be less focus on punishment in the legislation being sent to committee. But by leaving such a large burden of testing in place they have not basically altered the misdirection that NCLB sent us in. Your glee that the new law will “preserve annual state-designed assessments to ensure teachers and parents have reliable achievement data, and make increased investments in the expansion of high-quality charter schools.” convinces me you have not taken off the rose colored glasses for-profit organizations have been passing out. 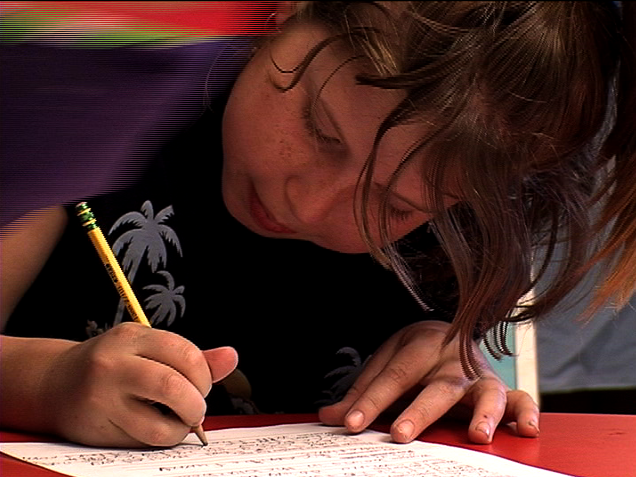 Thank you for writing to share your thoughts on reauthorization of the Elementary and Secondary Education Act (ESEA). I appreciate the time you took to write, and welcome the opportunity to respond. Since its enactment in 2001, the No Child Left Behind (NCLB) Act has provided educators and lawmakers with critical data demonstrating the strengths and weaknesses of America’s public education system. Fourteen years later, Congress is considering legislation to build on the provisions of NCLB that are working and amend those policies that have problems. As you may know, the “Every Child Achieves Act” (S. 1177) is a bipartisan bill to reauthorize the Elementary and Secondary Education Act (Public Law 107-110). The bill would give more control to states and local school districts, eliminating the one-size-fits-all requirements created by NCLB. The legislation would also preserve annual state-designed assessments to ensure teachers and parents have reliable achievement data, and make increased investments in the expansion of high-quality charter schools. a provision based on my bill, the “Helping Schools Protect Our Children Act” (S. 1369), to allow schools to use Title II funds to provide training to personnel on preventing and detecting sexual abuse. Lastly, I also supported a provision to protect funding for large school districts that serve military-connected children; and to provide continued support for existing high-quality charter schools. Please know that hearing your thoughts on how we can better serve our students is helpful to me. The “Every Child Achieves Act” passed the Senate by a vote of 81 – 17, and will be conferenced with the House reauthorization bill, the “Student Success Act” (H.R. 5). Once again, thank you for your letter. If you have any further questions or comments, please do not hesitate to contact my Washington, D.C., office at (202) 224-3841. Best regards. I am often asked about the children who we followed in August To June. They were in third and fourth grade in 2005/6. This past June those third graders graduated high school! While I am still waiting to hear back from Alani and Lily, I know what all the rest are up to, and it seems like a good moment to report in. it is easy to see that most of them have chosen to attend college. That is the short way for me to describe them, but besides what you will see below, at least half of them have been active in programs to be of service to others or to protect our environment. They are off to a good start. Amber Rose is attending University of Redlands Johnston Center for Integrative Studies after 2014/15 community service projects in Cambodia, Vietnam, Thailand, Ecuador and Peru. Anna interned at the Marine Mammal Center during her senior year. She’s now at University of California, Davis. Anne is attending Chatham University, majoring in biology and intending to go on to vet school. Cameron is attending University of Georgia. Elena is attending University of Vermont. Elise was Drake High School’s Valedictorian. She’s attending University of Chicago. Emily is at California Polytechnic State University. Forest is at University of California Santa Cruz. Isabelle spent last year at Feather River College, this year she is in Spain working as a nanny. Ivan is at College of Marin. Jasper is at Chapman College. Kailash is creating his own path, with lots of traveling. Kyla is at Oberlin College. Laurel is doing work/study at Sivananda Yoga Retreat in the Bahamas as she pursues interests in yoga, homeopathy, and Ayurvedic and acupuncture healing. Lauren (who we referred to as Kristin) works at the Bay Club Children’s Center. She is saving up money to move to Santa Monica where she wants to take classes at Santa Monica Community College. Makenna is at Hampshire College, after 2014/15 service projects in India, Ecuador, and Peru. Marley is at Western Washington University majoring in math and intending to teach high school math. Miles is at Santa Barbara City College. Patrick is at College of Marin. Rhianon is at Sacramento Community College. River is traveling in Israel after attending Santa Rosa Junior College and working as the manager of The GreenGrocer. Roshana is at Sarah Lawrence College. Taylor is participating in a service program in Fiji, New Zealand, and Australia. He’ll start Western Washington University in the 2016 school year. Zoe is at Grinnell College after community service last year in the Dominican Republic. The film had the added benefit of allowing me to keep closer track of these young people, but I am in contact with many of the students who attended the Open Classroom, either because they are still in our community, or through the wonders of social media. With all the varied directions they have gone, the thread I find most striking is how many exhibit a strong degree of empathy, whether that is via the occupation or avocation they choose. So often they are in the helping professions or involved in the arts, or are active in a community organization working for a better world. They are caring parents, loving supportive friends. I couldn’t ask for a better outcome. Tell your two U.S. Senators to vote for Sen. Jon Tester’s amendment to reduce federally mandated standardized testing from every-kid-every-year to once each in elementary, middle and high schools. The Senate will vote the week of July 7 on a new federal education law to replace “No Child Left Behind.” The bill ends federally mandated high stakes for schools and teachers. That’s big progress for assessment reformers! But the proposal maintains annual testing in grades 3-8. Sen. Tester’s amendment will end that counter-productive policy. At Fairtest’s site you can easily just sign your name, or personalize the letter they will send to your Senators. Less Testing More Learning! If we raise our voices together, we can persuade the Senate Education Committee to reduce testing requirements as it debates renewal of Elementary and Secondary Education Act/No Child Left Behind. Below is a model message. Feel free to use it, modify it, or say something entirely different. When August To June came out in January 2011, few in the general population were aware of the shift in priorities that had taken place in schools. What a difference three years makes! 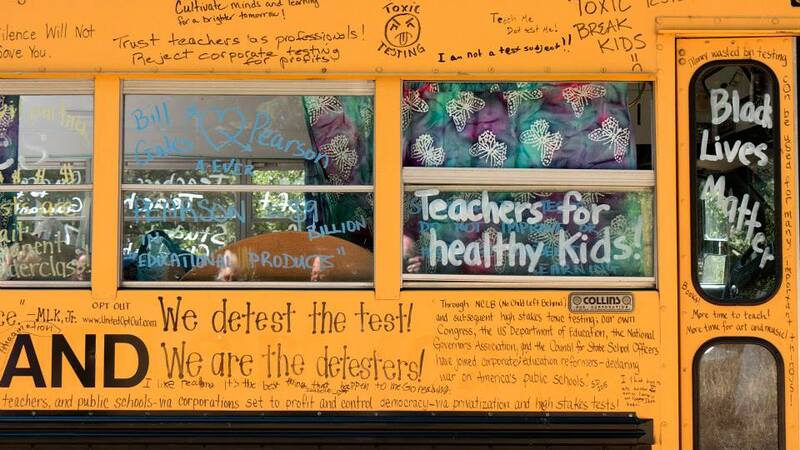 Now every week FairTest publishes a list of articles appearing in publications across the nation related to resistance to the testing mentality, and the lockstep approaches it has spawned. Widespread skepticism surrounding the “new and improved” testing that is meant to accompany Common Core may cut it short before this generation of children suffer through what we call NCLB In Sheep’s Clothing. But during those same three years we have become more aware of the amount of money and politics involved. It’s necessary to keep on keeping on! After an inspiring North Dakota Study Group Annual Meeting in Detroit, and wonderful visits to Ohio’s Wickliffe and Barrington Informal Programs and a return trip to Ann Arbor Open, Amy stopped traveling with August To June in April, to devote full time to finishing Good Morning Mission Hill. Tom edited and Amy plunged into all the other details involved in finishing the project, and getting it seen. We were very happy to learn that the National Educational Telecommunications Association (NETA), the same organization that distributed August To June, wanted to take Good Morning Mission Hill. Working with our son Jesse, and our public television station relations representative Kristin Fellows, we put in place the major elements of our jacket design just in time to send a modified version on review copies to 160 television programmers and a first group of educators who offered to review it. The film will be available to programmers starting August 23. We now have two websites, Good Morning Mission Hill and August To June that we hope you will explore, where you will find information on how to bring our work to your community. We’ll be posting the dates and times of broadcasts on the calendars of both websites as we are notified. So far we’ve heard from East Lansing MI (see the calendar), and Utah Public TV has told us they intend to promote the program widely–a nice start! There may be broadcasts we are unaware of, so also check your local listings, or contact the station you watch to get up to date information. We will very much appreciate you letting folks in your circle know of broadcasts. Stations like hearing that organizations are being informed of their programming. If you are doing that, please tell your local station! Mission Hill principal Ayla Gavins and 7/8 teacher Ann Rugiero brought an unfinished version of the new film to Chicago this spring. Principals and staff from many Chicago schools were in the audience, gathered there by Francis Parker School and DePaul University School of Education, in partnership with Chicago’s The Teachers’ Inquiry Project. We recently were sent a rich and thoughtful article based on the reactions of the participants, and are waiting to learn if it will appear in the Fall issue of Schools Journal. Come September both August To June and Good Morning Mission Hill will be available for community screenings. Amy will be with Ayla Gavins, Ann Rugiero and Amina Michel Lord in November when Good Morning Mission Hill is shown at the Coalition of Essential Schools Fall Forum in San Francisco, and with Ayla and teacher Ashleigh L’Heureux in December when it is shown at the Association for Constructivist Teaching conference in North Carolina. We are aiming to have a DVD that includes both Good Morning Mission Hill (with Spanish subtitles) and A Year At Mission Hill, the series of 10 shorts that first appeared on the internet, available for purchase via the website early this fall. Contact us directly for the one hour version of August To June or for Spanish, French or German subtitled copies of the original 90 minute film. It still seems to us that one of the best ways to create positive change in school cultures is to show positive examples, then invite conversation about how that might look in different settings. We hope our films can help engender those conversations! Our Facebook page now represents both films. If you haven’t looked at it yet, it is where we keep track of what others are doing to create change, as well as posting information to support whole child education. If you know of an opportunity for our new film to be reviewed, or want to organize a community screening, please contact us!